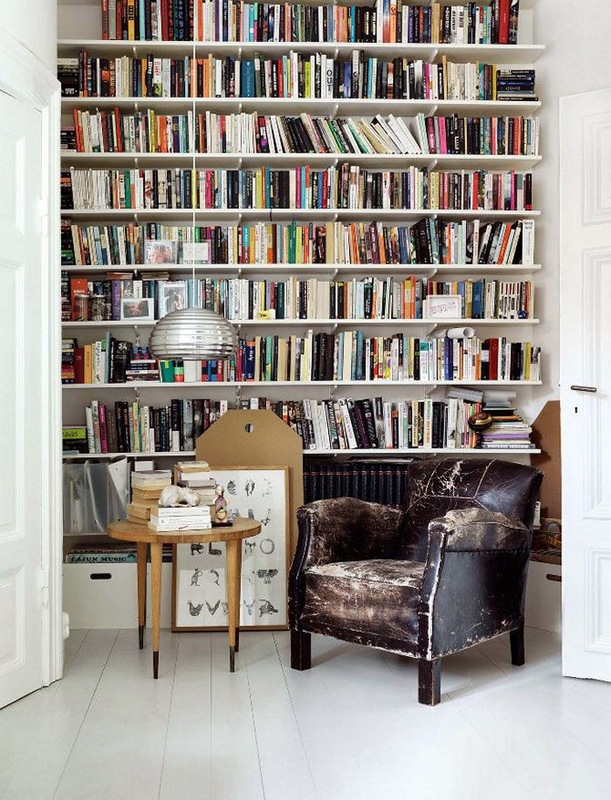 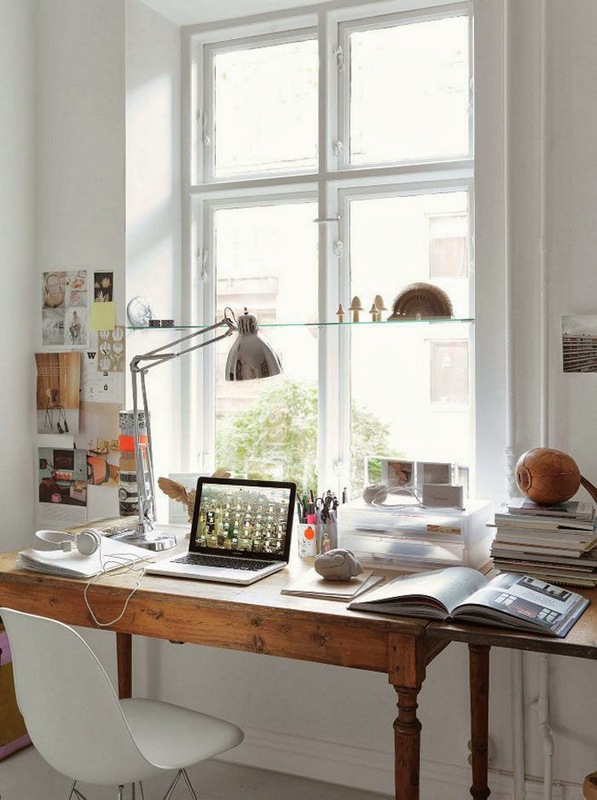 This apartment belongs to Swedish stylist Emma Persson Lagerberg where she lives with her family. 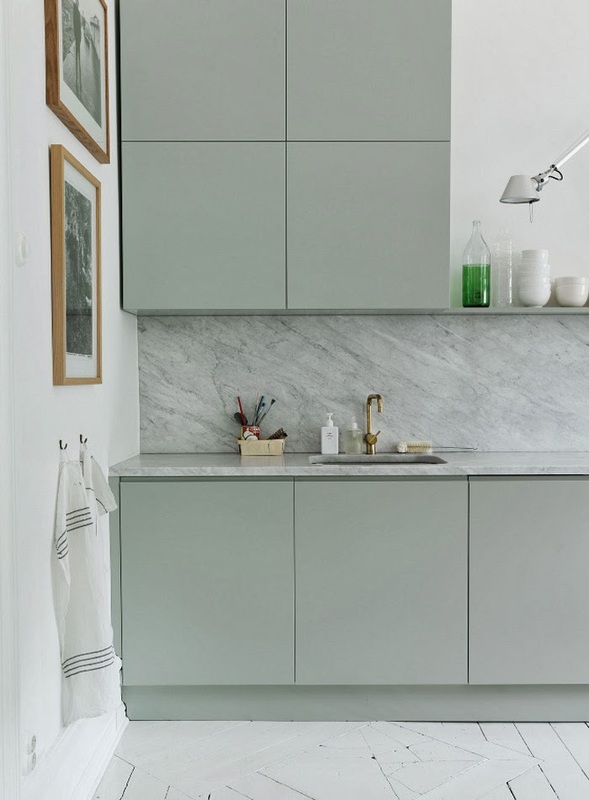 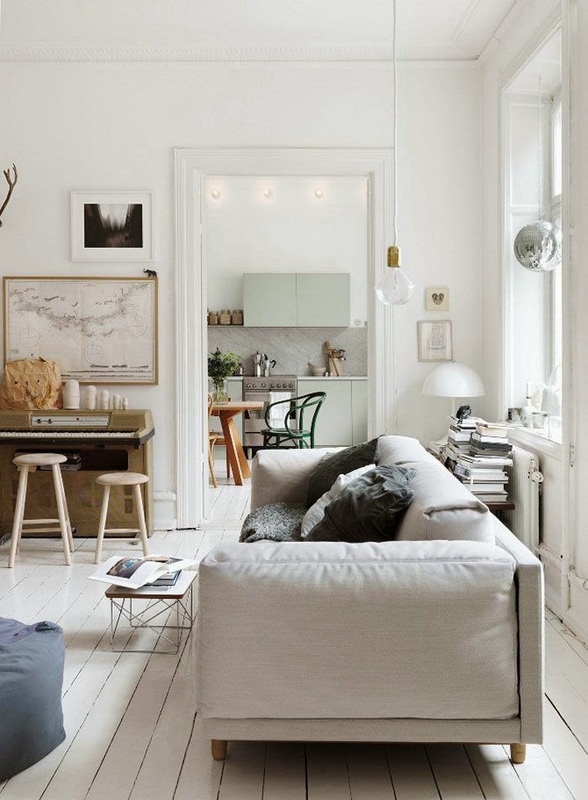 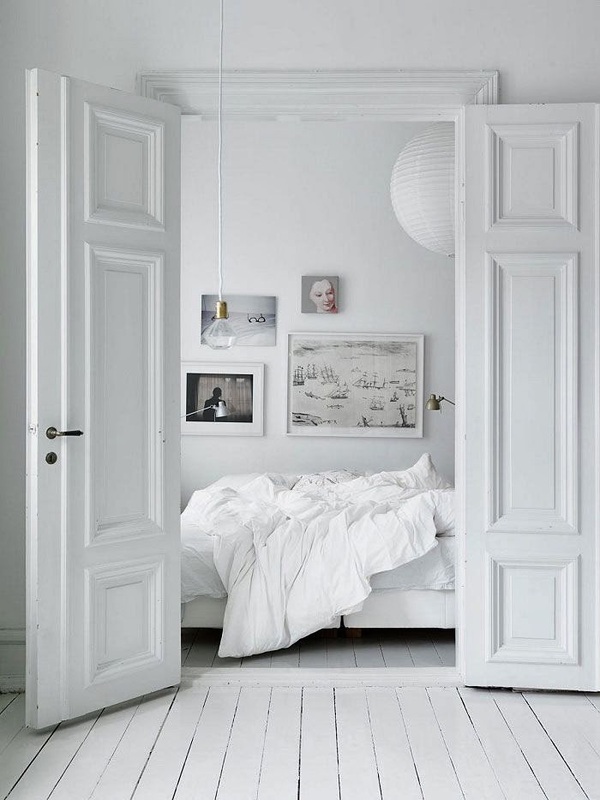 It's a very scandinavian home with only little colour and a fantastic white wooden floor. 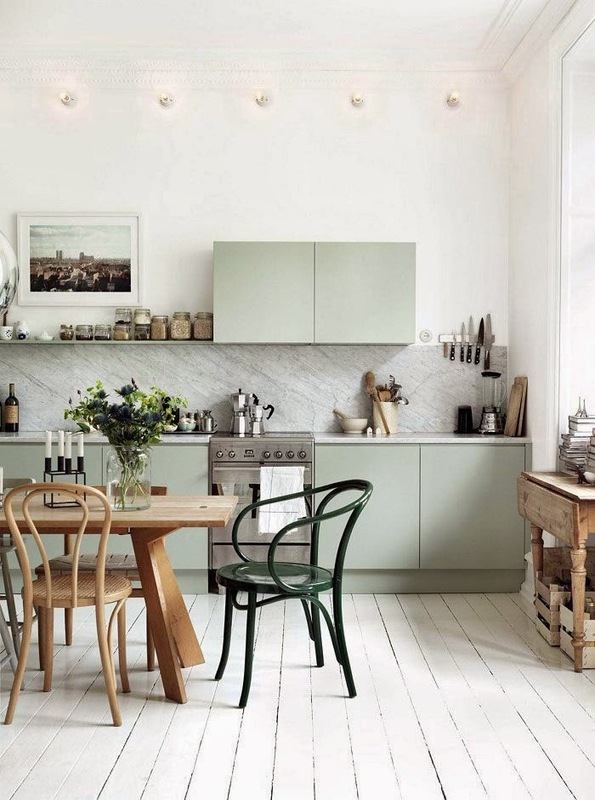 But the hightlight of this apartment is the kitchen! 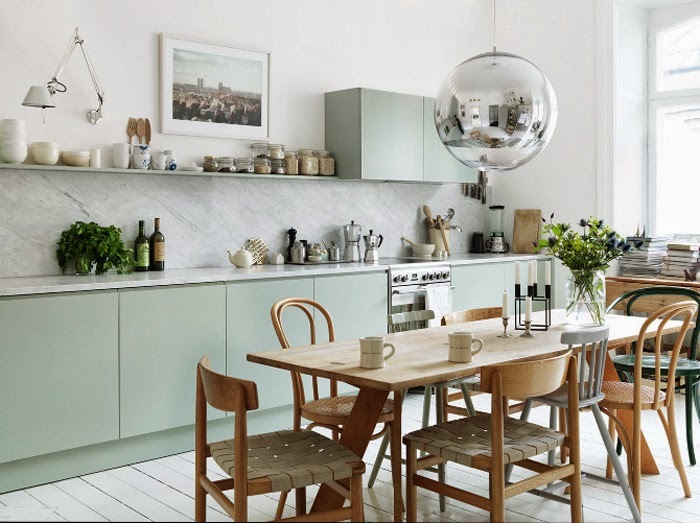 It's the kitchen of my dreams - the colour, the marble top and the golden accents - simply perfect!